Theology of religions is the field of reflection wherein a religion considers how it views other religions. This is one of the areas of continuing work at Elijah. There are several fundamental issues that theology of religions tackles. One of them is “religious truth”. The challenge is as follows: If my religion is considered as true, how can I validate your religion. If it is equally true, then does that not detract from my own religion, which I consider to be the truth. The reverse question is – if we seek to advance interreligious relations and a positive view of the other, does that necessitate a view of the other’s religion as false. In other words, to what extent does the relationship between one’s religion and that of the other correspond to the division of true and false. Contemporary theologies of religion seek to construct understandings of religions that, while maintaining full appreciation and commitment to their own religion, do not do so at the cost of total invalidation of the religion of the other, declaring it to be false. 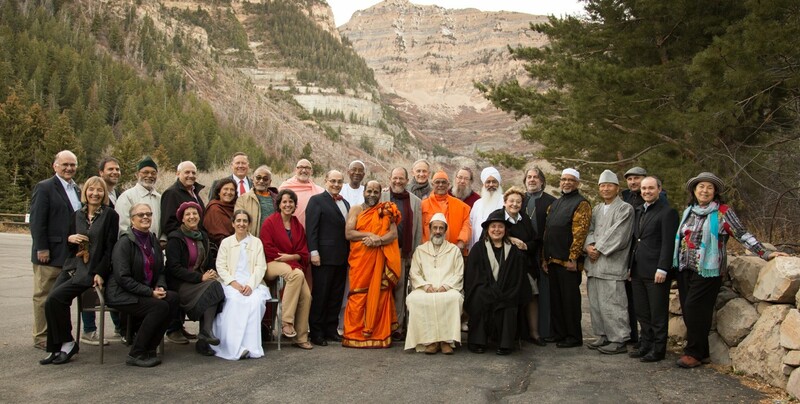 This is a problem that cuts across all world religions. The present edition of Wisdom reports on two projects carried out in recent months, one involving Judaism and Christianity, the other focusing exclusively on a Jewish theology of religions. 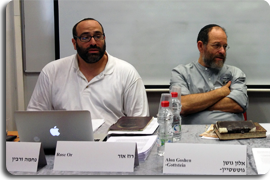 This past June Yeshivat Chovevei Torah Rabbinical Seminary and Union Theological Seminary joined forces with the Elijah Institute, under a grant from the Henry Luce Foundation, to offer a summer school for Jewish and Christian seminarians on religious truth. The course instructors were Alon Goshen-Gottstein and John Thatamanil. Guest lecturers included Rabbi Dov Linzer, Robert Neville, Judith Plaskow, Jeanine Hill-Fletcher, Norbert Samuelson and Kirk Wegter-Mcnelly. The summer school explored a wide range of issues that impact our understanding of religious truth, including how traditional notions of religious truth might relate to historical and scientific discoveries as well as consideration of the implications of feminist theory to our understanding of truth. The purpose of the summer school was to cultivate the capacity for creative theological thinking, through dialogue between two partnering student bodies, representing different religious communities. One of the striking discoveries of the summer school was the common recognition by both instructors that “religious truth” is related to spiritual processes and authenticity in ways that, in both their understandings, does not lead to exclusivist views of truth, wherein only one religion is in possession of the truth. This was noted in particular by appeal to the mystical traditions of Judaism and Christianity. This may account for the unusual degree of bonding and group cohesion that resulted from the summer school program. Beyond the rich intellectual menu, the two student communities seem to have been bonded by a higher quest for understanding that took the other community within its scope, creating spiritual and human openings in the same process. We would like to share two resources from this summer school with our readers. The first is an attempt to construct a de-facto pluralist view of other religions, in terms of an approach to truth, based on the teachings of R. Nachman and R. Nathan of Breslav. In this essay, I note how R. Nathan so devalues truth and so highly values peace, that in this axiological exchange can be found the foundations for a view that almost removes the concern for truth from the religious, and therefore I propose also the interreligious, realm. You’re welcome to download a copy of my essay on the subject: ‘The Truth Beyond and Beyond Truth – Two Understandings of Religious Truth in the Breslav Tradition’. Once in four years, in August, thousands of scholars of Judaism from all over the world gather in Jerusalem for the World Congress of Jewish Studies. Elijah has held programs for the past 3 congresses, where its interreligious work and its work in the domain of theology of religions has been featured. 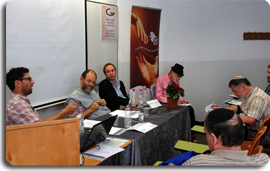 Read more about Elijah’s participation during the previous congress on the theme of ‘Election and Jewish Particularity’. At the recent congress Elijah ran two sessions on the theme of religious truth. Several scholars had worked in the months leading up to the congress on essays that explore various aspects of the problem. These essays will be featured as part of Elijah’s website on a Jewish theology of religions and provided reading materials and resources for the summer school program, described above. These scholars include Michael Fagenblat and Shaya Rothenberg, Stanislaw Krajewski, Steve Copeland, Cass Fisher, Ira Bedzow and Meir Sendor, as well as Yehuda DovBer Zirkind and Or Rose. 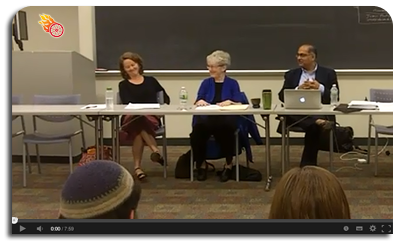 Two panels were held at the World Congress of Jewish studies. Our goal at these sessions was the same as our goal for the summer school – to develop creative thinking on theological issues. The papers were therefore constructive, drawing on historical precedent, with an eye to how historical exercises can inform contemporary theology. One session focused on the philosophical tradition, and included papers by Fagenblatt (Levinas), Copeland (Maimonides) and Fisher (the rabbis). The other focused on hassidic resources with contributions by Alon Goshen-Gottstein (Breslav) and Or Rose (Berditchev). Observers noted the unusual creative and constructive theological exchange that struck a very unique chord within the typical discourse and atmosphere of the congress. R. Nathan critiques ideological controversy, based as it is on the supposed quest for truth, as a social vice that is of no benefit. Truth can guide the individual aspirant towards making the best spiritual choices for herself. But once the truth becomes a social force, it must be controlled. The point of control is where it is associated with controversy. In the axiological confrontation between truth and peace, peace wins hands down.